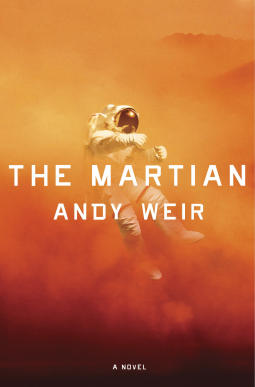 “The Martian” is about a poor astronaut called Mark Watney who gets accidentally left on Mars after the rest of the crew evacuates back to Earth. So the story goes like this – it’s some time in the future, when there have been two Ares missions to Mars, both with a crew of six astronauts. The story starts with the evacuation of the third crew with the Ares 3 mission, as the wind speed is getting too dangerous for the Mars Ascent Vehicle (MAV), which is the only way back to Earth. While hurrying towards MAV one of the astronauts gets hit with an antenna from a flying communications system and is lost in the dust storm. Although the crew searches for him for a while, it seems as if he’s lost and dead. But fortunately he is not, and after gaining consciousness he realizes that he has been left behind. And now starts his survival story – the lonely man’s struggle to stay alive on a lifeless red planet. He has a lot of challenges on the way – he has no method of communications with the Earth for starters, only about after he’s been alone for two months do the satellites reveal that he might possibly be alive. 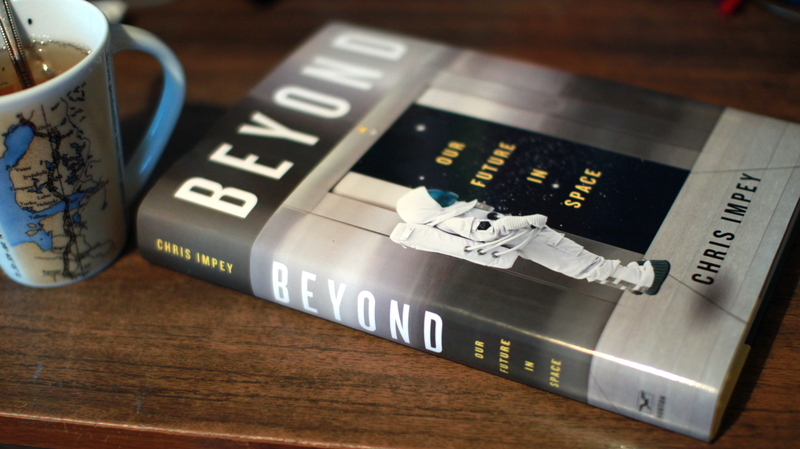 It’s a really action packed book, and would be great reading for anyone interested in space exploration. In the beginning I was a little disturbed by the astronaut’s strong language, but as you get to know more about his situation, you can forgive him. It seems that the author has done a lot of research for this book which made it so excellent. I liked it because it showed the situation from the perspectives of many people – Mark’s to start off, and then Mission Control’s and from the perspective of the rest of the Ares 3 crew as well. Also I found it interesting how the author had put together so many accidents (which of-course all might occur if you have to stay on Mars for one and a half Earth years all alone) and it still ended happily. Well of-course it would have been sad if he’d just missed one necessary component of something or just didn’t know what to do or didn’t have enough food to last so long…. but as most of the book is in a log- book format, then naturally it couldn’t very well exist if he hadn’t survived for that long. I hope this book will be made into a movie. It’s got excitement, romance, comedy, adventure and space exploration, so you can’t get much better than that! (plus there are no aliens here, and the only food that the astronaut is able to grow is potatoes, so not too far-fetched). 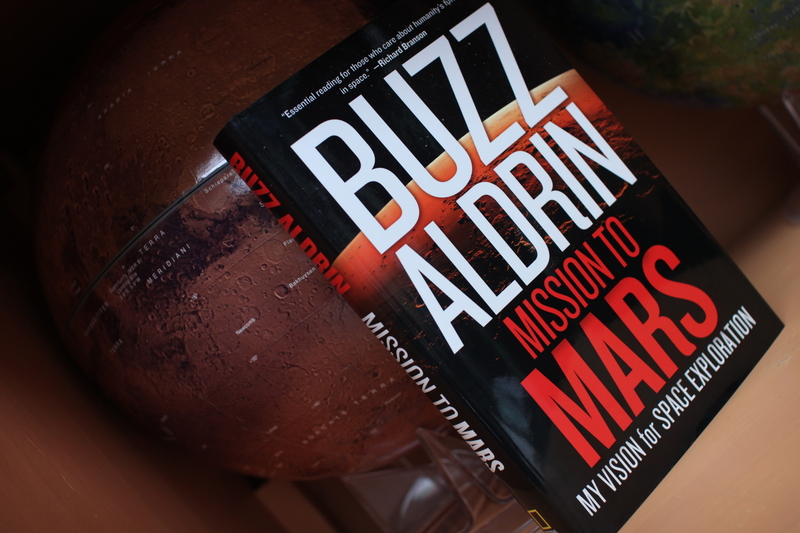 Mission to Mars tells about the vision that Buzz Aldrin has for Mars missions. Known best for him being the other astronaut to be on the Moon with Neil Armstrong, he has a long history and connection to such missions. However, while for example Zubrin supports the Mars Direct plan which would send men to Mars for around 6 months, then return them and send the next ones, then Aldrin’s vision was a slight surprise for me, but I have to say it does seem even a tad bit more exciting than Zubrin’s. Namely instead of just having many missions to Mars, Aldrin would rather support colonization of Mars instead of a few rare astronauts leaving their footprints in the Red Planet’s soil. For example one part of Aldrin’s mission would be to use cycling spacecraft, that keep orbiting around Earth and Mars and one would have to take a smaller and faster spacecraft to get to this “interplanetary taxi”. There were some other interesting points in the book as well, and it is filled with pictures, either artist’s impressions of different spacecraft or photos of previous missions etc. 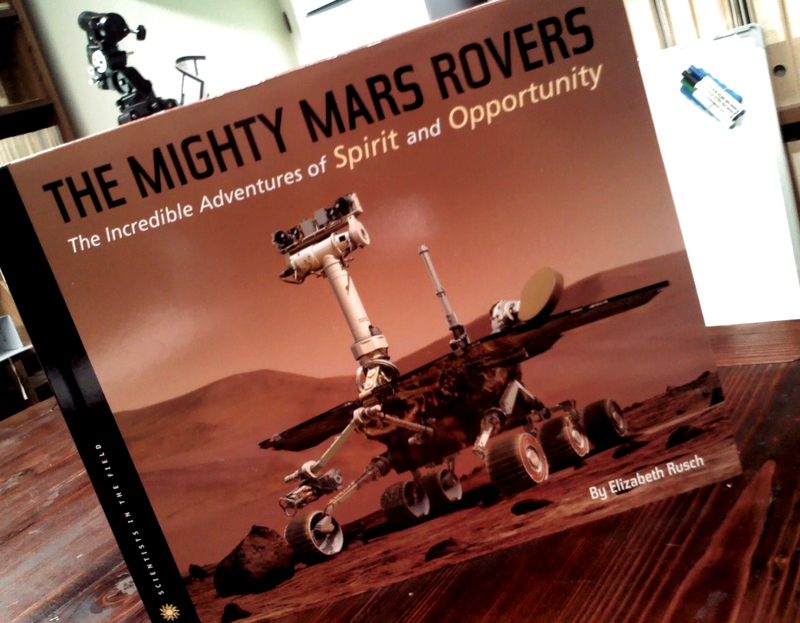 I think this would be a good introduction to the topic of Mars Missions, but if you know more about them already, then there might be little new in this book for you. Today at work I had an amazing chance to read this book, that had no new information in it for me at all. It’s not too surprising, since as anyone can see from the previous reviews, there have been “The Mighty Mars Rovers” and “The Case for Mars” on my reading list recently. I’m guessing the audience for this book would be either children who have just learnt to read, or the purpose of the book is the images that the parent can point at and read the short and simple text to an even younger child. As a real introduction to the planet Mars, it’s similar to Mars in it’s dryness. There are lots of other better and more informative space books out there. Basically it was just boring. And short. This is a science book for children. And it’s excellent. It’s about the twin rovers Spirit and Opportunity that were sent to opposite sides of Mars on missions that were supposed to be three months long, but were so successful that worked for years. Opportunity still functions, but the team lost contact with Spirit a couple of years ago, and although they were hoping it would power up again, nothing’s been heard of Spirit lately. This book gives an overview of why they were sent there, what they explored, where exactly were they, what problems the rovers and their teams had to endure and overcome and also a small part of what they discovered. Although I wasn’t interested in Mars exploration more than an average space-obsessed person would be, then this book got me hooked on that topic. 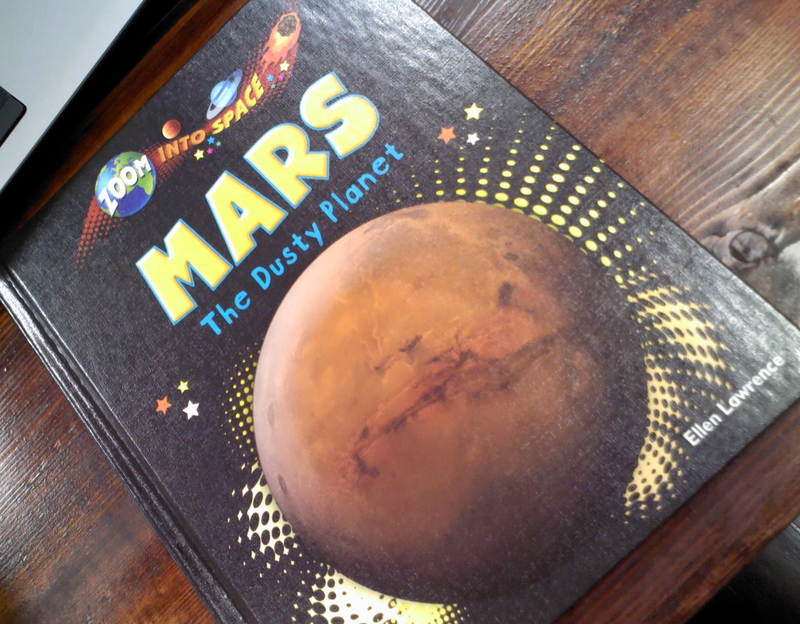 I can’t wait to read some more books about Mars!